Burberry London for Men Special Edition is quite mysterious, than has attracted a lot of attention. 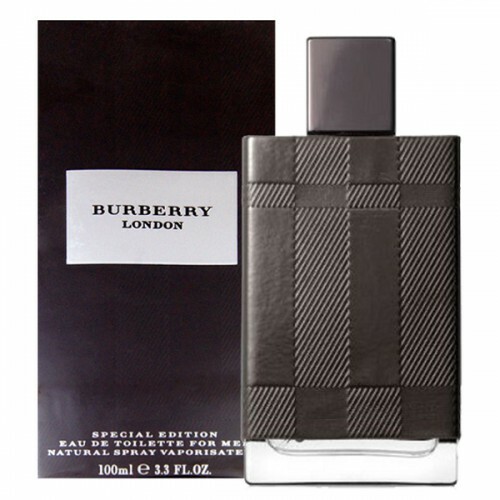 Burberry London for Men Special Edition 100ml. Eau De Toilette 2009 - the original eau de toilette for men perfume designer from the British Isles with Burberry. This fragrance was designed well-known perfumer Antoine Maisondieu. Eau de Toilette Burberry London for Men Special Edition 2009 is based on families of woody spicy fragrance was released in 2009. The composition of the fragrance Burberry professionals use fine notes of nutmeg, amber and musk, which make it a strong and refined. This fragrance is quite mysterious, than has attracted a lot of attention. Its smell is felt shades of hot temperament and passion, which are hidden behind the image of strict gentleman. Top notes are Amalfi lemon, black currant and pineapple; middle notes are lavender and notes of Water; base notes are amber and woodsy notes.